Projectors are a great way of getting a massive screen for a fraction of the cost. 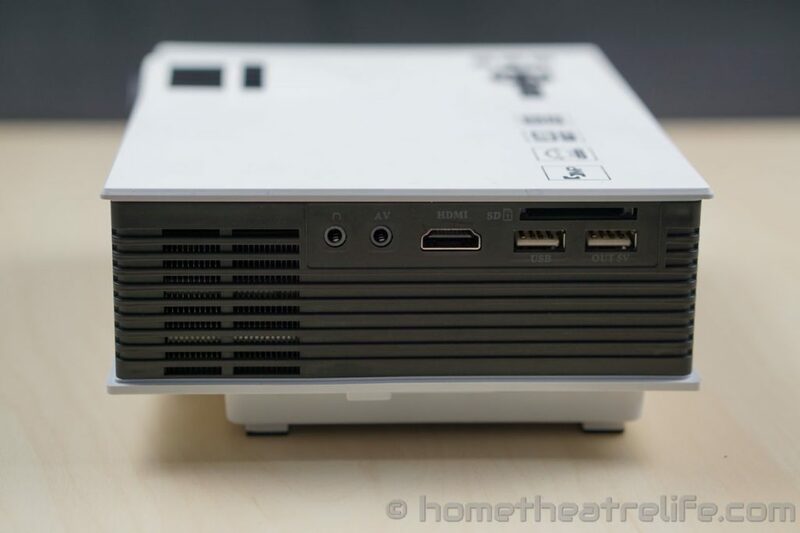 For under $100, the UNIC UC40 projector features HDMI input, built-in media playback from sources such as USB and SD cards, and an 800×480 pixel resolution. Thanks to PandaWill for providing me a sample to review. Click here to view the latest price. Update: Read our full review here! The device is compact for a projector compared to most at 20.1 x 15.3 x 6.75 cm. However, carting it around will require its own bag. 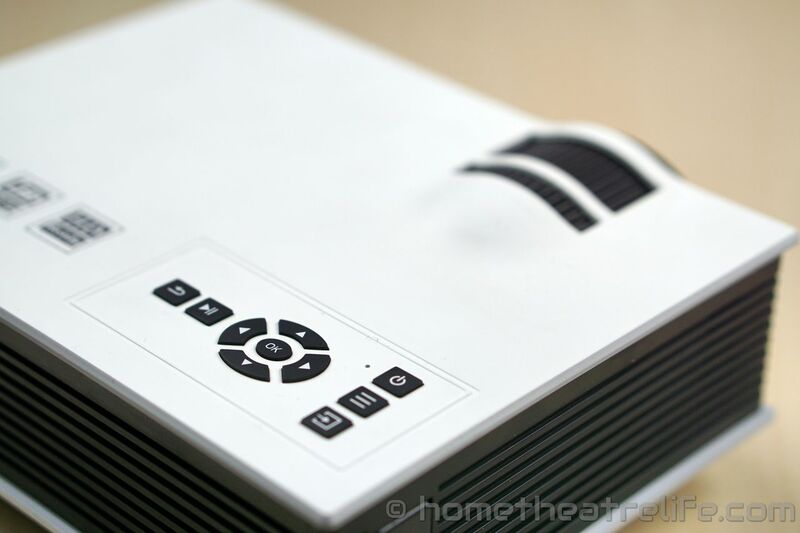 The design is standard projector fare, incorporating a modern black and white color scheme. Underneath is a height-adjusting foot which is great way of propping the projector up when you have to work around awkward angles. All ports are located on the left-hand side of the device. Moving from left to right, we have 3.5mm out, composite video in, HDMI In, USB 2.0 port, SD card slot and a USB charging port. The top of the device houses controls for playback and navigation when you don’t have the remote handy. Keystone and focus adjustment dials are also present. 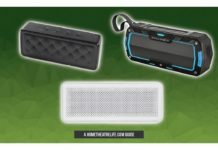 Having the built-in multimedia playback and USB charging port help sell the device as “portable”, minimizing the amount of other equipment you need to bring along to enjoy a movie. Booting up the projector takes a couple of seconds. A fan keeps the whole unit cool. It’s pretty loud but I eventually got used to it. 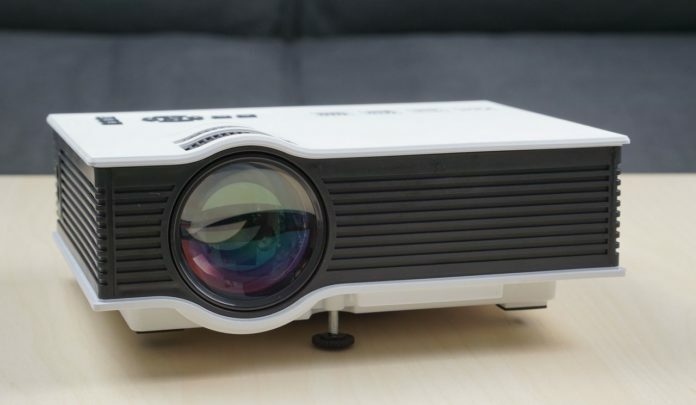 Image quality was great, given that we’re talking about a sub-$100 projector. Unfortunately, I didn’t have a nice white surface to project on so I used my light grey freshly painted walls. Whilst the projector was pretty useless with my ceiling light on, turning them off greeted me with an impressively bright image with nice color reproduction, despite the tinted projection surface. 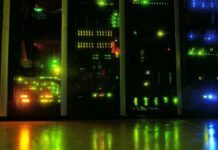 Given we’re used to full HD and 4K video quality, the 800×480 pixel resolution can be a little jarring, But for the occasional movie or as a means to entertain the kids, it’s fine. I did find that the image quality presets were pretty average but a quick adjustment of the brightness, contrast and color settings got it looking great. This could have to do with the color of my walls so your experience may vary. One thing I couldn’t figure out is how to disable the tiny transparent “UNIC” branding in the top-right of the image. You do forget its there but it shouldn’t be there in the first place. 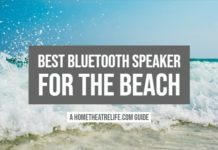 The built-in speaker is acceptable. 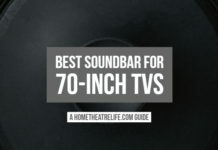 There’s enough volume to fill a small room but they sound hollow and lack bass. However, using the UC40’s 3.5mm audio out, I was able to switch it to a more powerful external speaker which made for a much better experience. 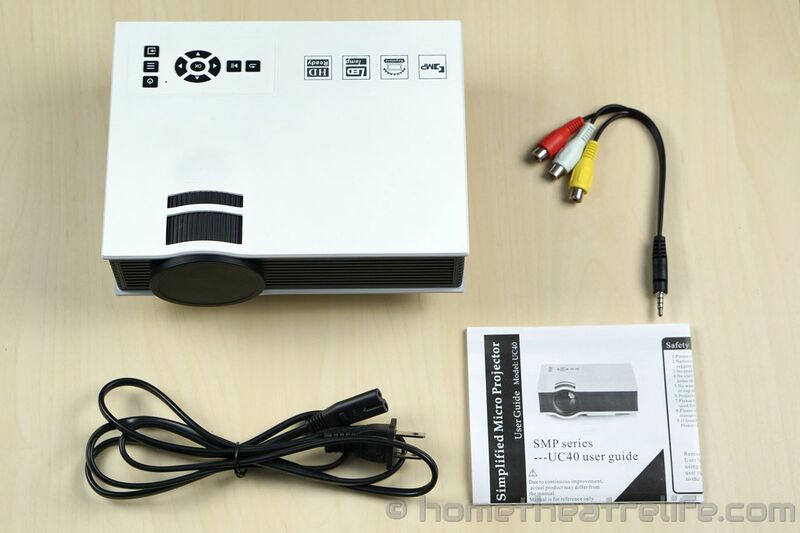 For a sub-$100 projector, I have to admit I was skeptical but have walked away impressed. 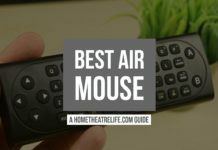 Although it has its quirks, those wanting something to entertain the kids or have an outdoor movie night should be happy with its capabilities. 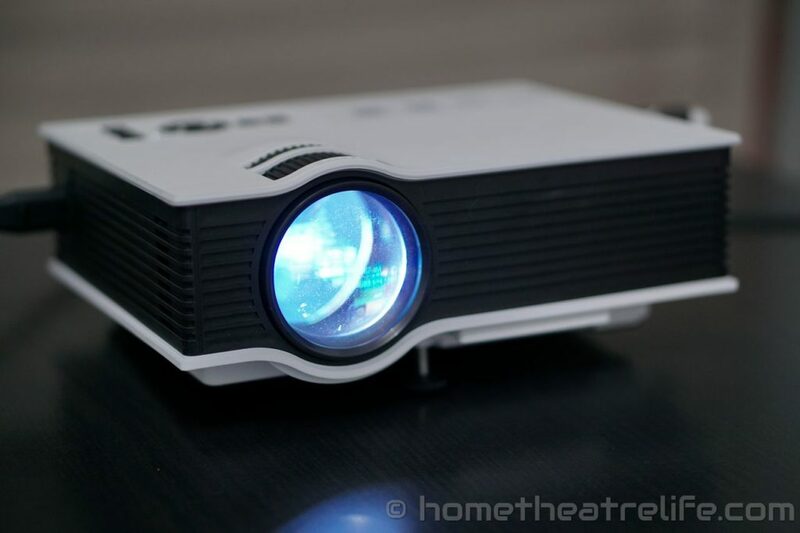 Those wanting a true HD projector should look towards the far more pricier options. The UNIC UC40 Multimedia Projector is available for purchase from PandaWill. Click here to view the latest price.